The first part of the keynote covered the changes in the latest Mac OS release. Yes, they really are calling it El Capitan. They highlighted natural language search and tabs that "stick" on the safari browser to loan immediately. Also a newer "expose" function that includes the ability to manage windows easier and snap windows side by side to work on two things at once. Performance improvements. They accelerated performance for by bringing "Metal" to mac which will improve performance and battery life - especially for gaming and high performance tasks like video editing and rendering. Extending battery life, improving performance, enhancing security were first mentioned. Then "Improving Intelligence". This is interesting. Siri got a boost with improvements that make it competitive with Google Now by making it more proactive and context sensitive to time, place, and devices you are connected to. This is also comparable to Windows Cortana. However, you will most likely have to use all Apple Services in order to take full advantage of the improved Siri features. Siri is now more like a proactive personal assistant - that is the goal at least. The key to all of these features is anonymity. By staying on device with a randomized identifier not shared with Apple services or third parties your information, photos, emails, remain private. This is a huge differentiator. In with The IOS9 Announcement were good upgrades with more venders for Apple Pay and Passbook is now renamed "Wallet". "Notes" can now add photos, bullet points, and drawing tools along with adding a link or map with image to your note as an attachment. "Maps" has added very detailed public transit maps that include station to station walking distance and times (for select cities). "News" is the new "News Stand" app that is similar to Flipboard with a custom layout based on the types of news and the sources of news that you like. The more you read, the better news is at showing you articles that you may be interested in. "Multi Tasking" by allowing you snap apps to one side of the screen and work in two active apps at one time. When watching a video, if you were to get a notification form another app and click on it, your video will pop out and you can move it around the screen like a picture-in-picture. This is only compatible with some of the latest iPads and iPhones. Home kit and Health kit made some advanced to offer more controls to your home from your phone. There were updates to several other game kits, graphics kits, etc and Swift 2 was released and is Open Source. This is huge news for developers. 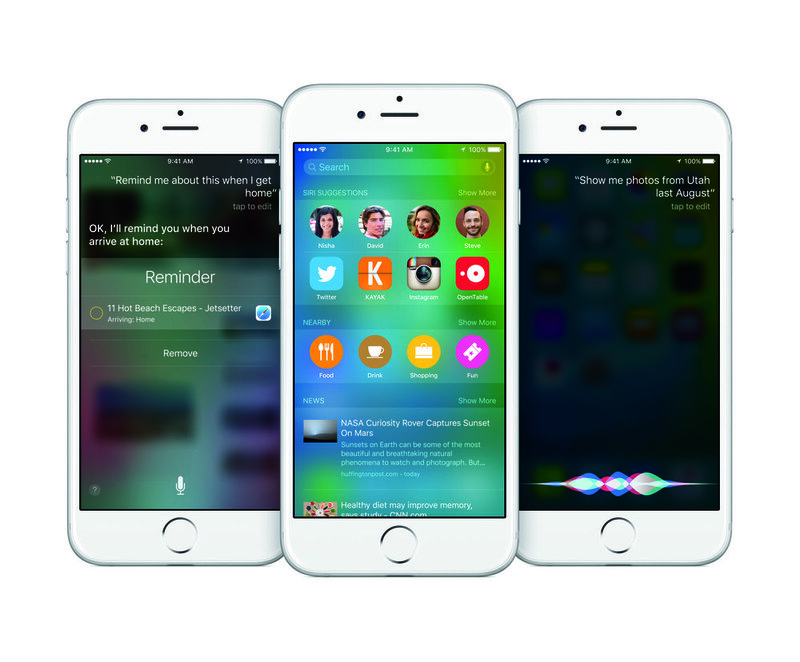 IOS9 will be released by fall of 2015 with a public beta starting in July. Pretty good update for IOS9. Nothing super major but some big items here and there. The main reason for these updates are stability and performance. By far, this was the most important announcement for me. Native Apps are now supported by the Apple watchOS. This means that the delay caused when using 3rd party apps as the watch gathered the information to display from a companion app on your phone would be disappearing! 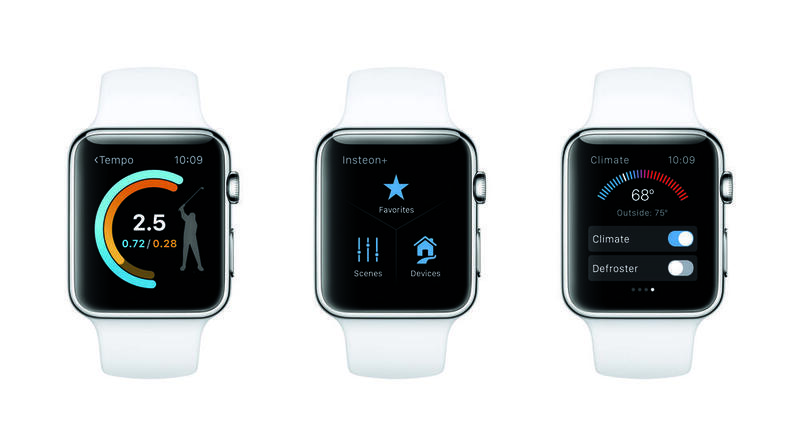 The new apps will be able to operate right on the Apple Watch! The reason I am not wearing an Apple Watch today is the delay. This change is huge and I believe will push many of us who have been waiting on the sidelines for better speed to seriously consider and purchase the Apple Watch. Some of the new IOS9 features will also be available on watchOS such as transit, better maps, apple pay, etc. If watchOS was the biggest news of the day, the "One more thing..." was the smallest and most disappointing news of today in my opinion. In short, Apple Music is an iTunes refresh blending with their Beats app, in bed with record labels, plus a 24/7 radio station, plus a music subscription service. There is nothing innovative in how the information is presented, curated, or algorithmically selected. I was hoping for something more here. I wanted an innovative way to discover and find new artist, to see them play live, hear and collect their albums and play it on anything, anywhere that I am connected to the internet. As of right now, it is just a plane jane music service that is $10 per user or $15 for a family of 6. Meh. It's ok. There is a 3 month free trial, so I will give it a whirl. I hope it will be high fidelity for audiophiles. Notably missing form the announcement: Apple TV OS refresh/update/upgrade. Still waiting to see where they are going to take the Apple TV device and service. I think it is their next big play. The biggest news of the day were performance and sustainability updates for most Apple operating systems. The biggest disappointment was Apple music, but it may still have a chance as developers and consumers provide feedback before the final release. This WWDC was ok. I am not coming away as excited about Apple as I have been in the past. Hopefully they have under promised and will over deliver!